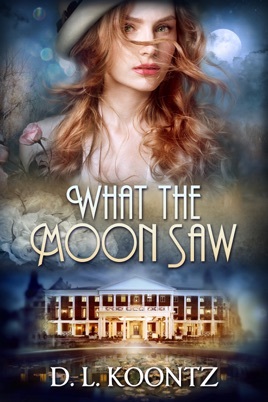 When newlywed FBI agent and brilliant linguist Libby Shaw is warned that her death is imminent, she’ll do anything she can to survive–even take mysterious advice to submerge in mineral water of Bedford Springs during a full moon. Libby finds herself thrust back in time to 1926, where danger and intrigue surround her. As Libby tries to adapt to her new life, she finds herself oddly drawn to the town sheriff who seems to know her far better than she knows herself. Yet he seems eerily familiar and as pieces of a past start surfacing in dreams and visions, Libby seeks out the handsome sheriff for answers, only to find more questions. As Libby learns someone is following her to change history, she must join forces with the sheriff to uncover the mystery of their past. Will they be thwarted by the master criminal who's determined to destroy them both or will they be able to build a life together after lifetimes of being pulled apart by nefarious forces? I loved this book! Not your typical run of the mill time travel. Lots of twists and turns. Interesting characters. I think the author could have taken this further and done a series of books using some of these same characters. I look forward to reading more from this author. Great book!!! Many twists and turns. Very good story!! What the Moon Saw by D. L. Koontz. This is a different read than I normally read. The story is a mix of time travel, suspense, and romance. Libby finds herself traveling from 2016 back to 1926. I’m sure that Libby never realized how her knowledge of history was going to be so important to her survival. I am so glad that I didn’t live during that time. If you enjoy time travel, historical novels, and suspenseful stories, then this might be one for you.